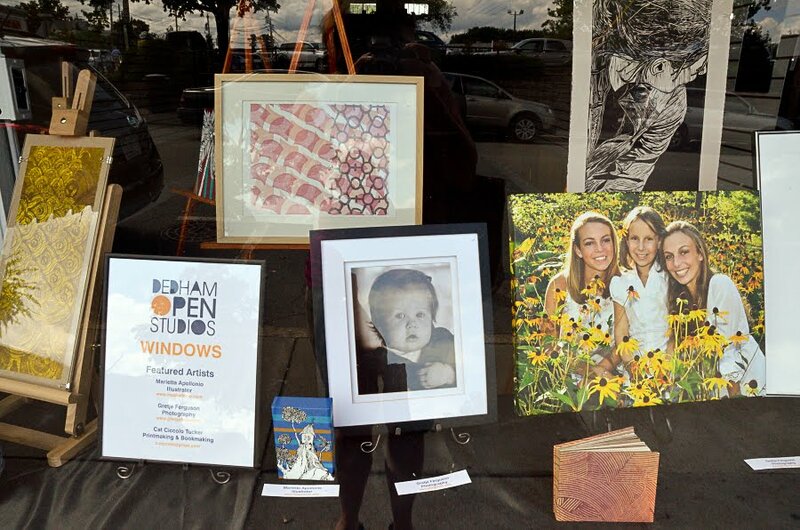 This summer, Dedham Open Studios started a new project in Dedham Square. The bringing together of art and an available store front in Dedham Square. 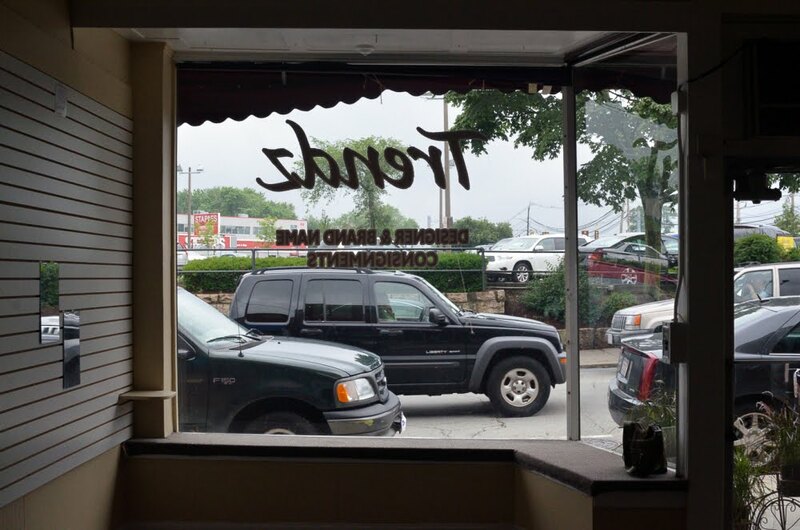 This is a wonderful space to put local artists together and add artistic vibrance to Dedham Square. Many cities across the country have this type of program. I have been involved with such a project when I lived in Tucson, Arizona. Jen Barsamian, Dedham Open Studios founder and artist, Cat Ciccolo Tucker help clean the store window. Cat lent her beautiful prints and handmade books for the art display. For this round of artists I choose Gretje Ferguson, Photographer, Cat Ciccolo Tucker, and Marietta Apollonio, painter and illustrator. I have been trying to pick a variety of mediums and art that compliments each other. I am thankful to the talented artists and the local interest in this project. If you are in Dedham Square take a stroll and soak in the creativity. Stay tuned for other projects from The Dedham Open Studios. This project is also featured on the Dedham Rocks blog. Such a great use of available, and VISIBLE space Kerry! Congratulations on getting this project rolling in Dedham.